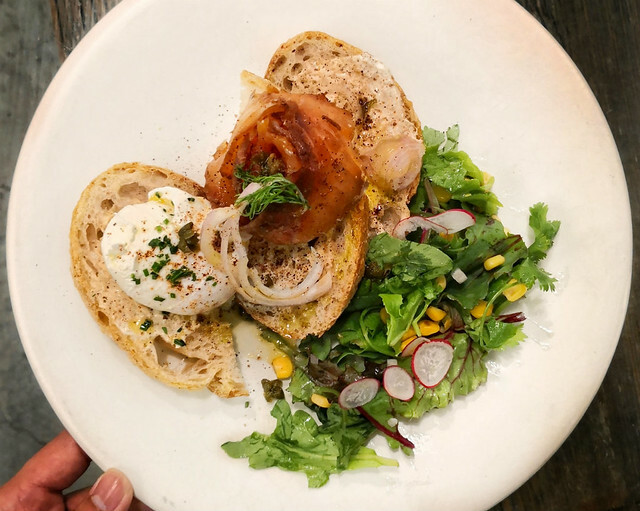 Home-grown cafe Strangers’ Reunion, located at Kampong Bahru Road just 5 minutes’ walk from Outram Park MRT, is set to redefine and elevate café dining experience with a new all-day brunch menu. 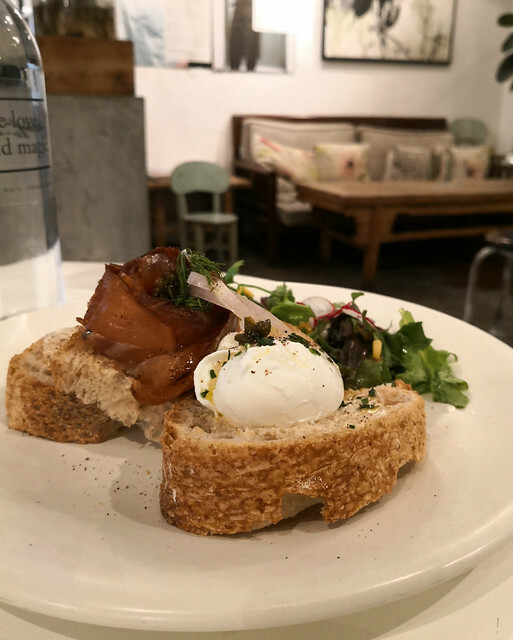 Best-known for serving some of the best coffee and all-day brunches in town, this time the new brunch menu features inventive cooking method with a conscience. 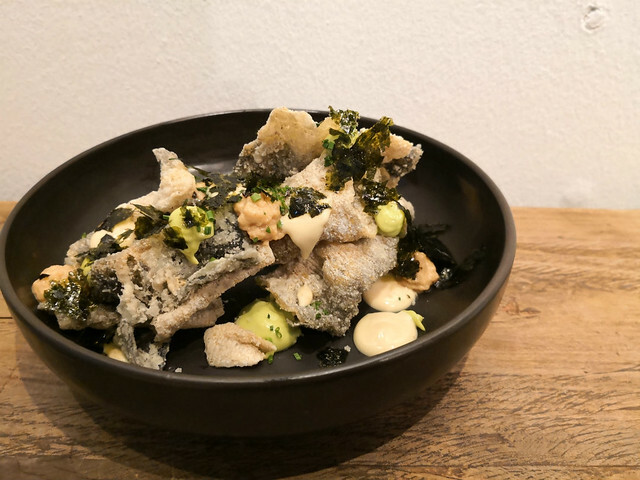 Using fresh, seasonal and upcycled ingredients and sauces homemade from scratch, the resulting dishes reveals a level of sophistication more often associated with fine dining establishments. Now that’s more than a cuppa in a café scene. 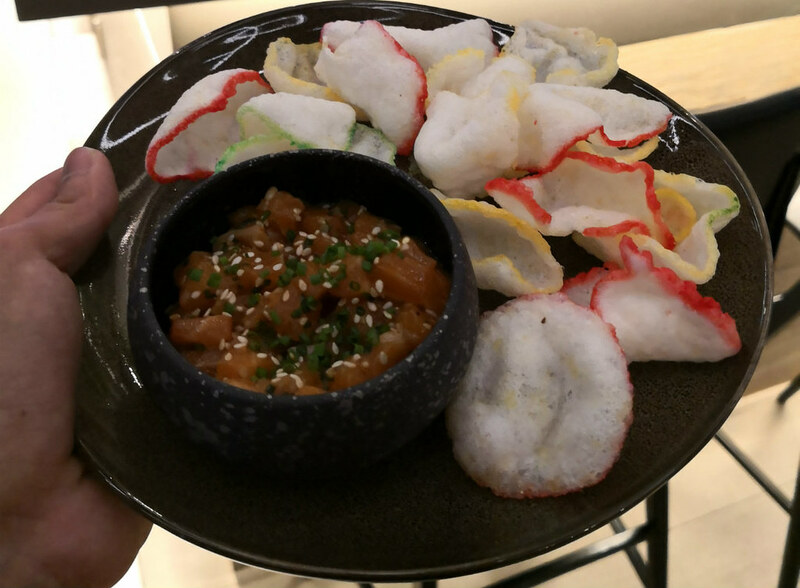 Take the Salmon Skin Chips ($11.90) for instance. This moreish appetiser utilises salmon offcuts and trimmings from the café’s homemade coffee smoked salmon and deep-fried it to become a dish by itself. Studded with goma, avocado coulis and coffee-smoked salmon puree, it presents a juxtaposition of nutty, salty, sweet and sour flavours without being too overwhelming or oily. 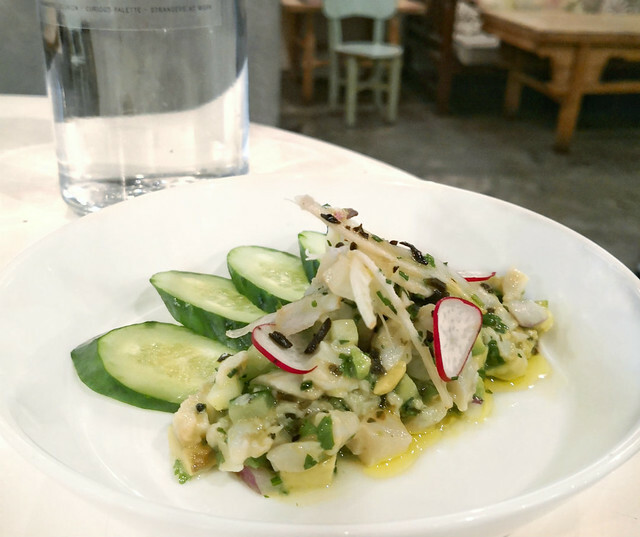 The Snapper Ceviche ($13.90) contain a combination of snapper chunks cured in lime juice, avocado, cilantro and red onions. Light and refreshing, it is the perfect starter dish for a brunch date. 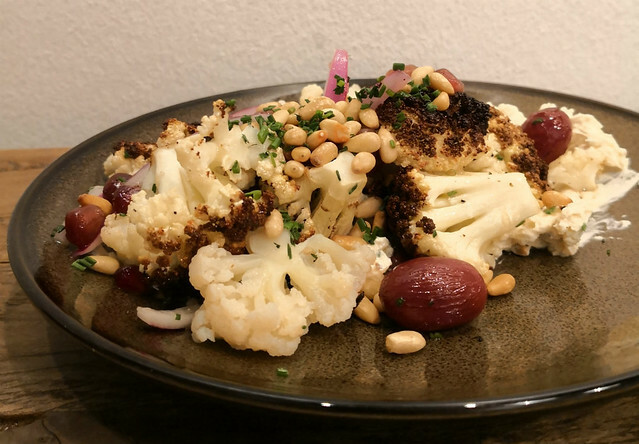 For the vegans and cauliflower fans, the Roasted Cauliflower Salad ($14.50) is the choice pick. 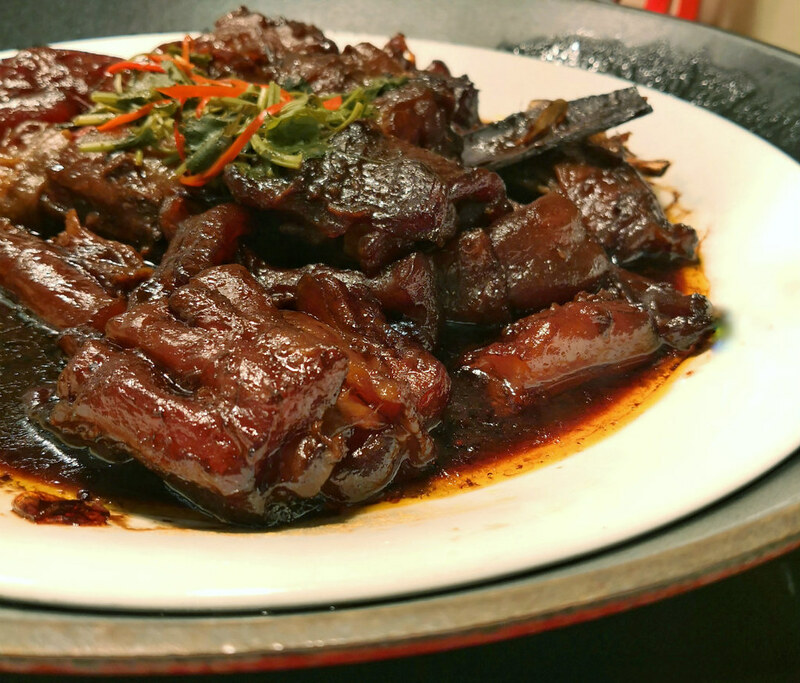 It comes in 2 ways – charred to yield caramelised florets with deep hazelnut notes, and pickled in rice wine vinegar infused with black pepper and bay leaves. We had the caramelised ones and it is crunchy and irresistible. It’s just so good I am almost a vegan-convert by this dish. Coming to the mains, the hearty Pork and Broccoli ($21.90) satisfies me thoroughly. 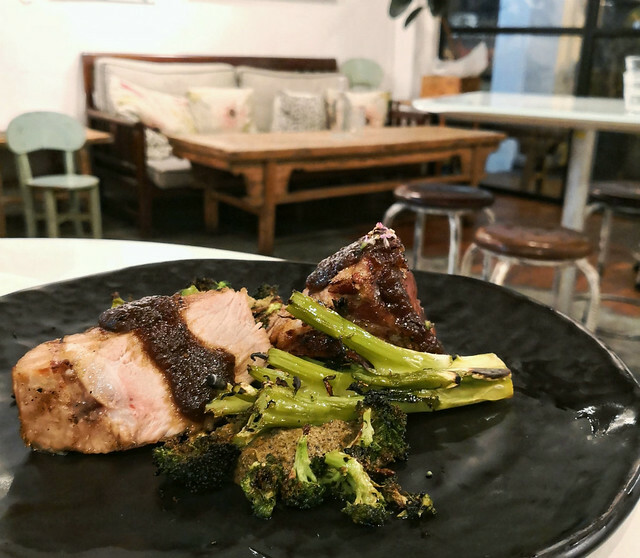 Taking a leaf from the upcycling philosophy, the tender roasted meat uses the under-utilized pork collar ends and broccoli stems as accompanying greens. 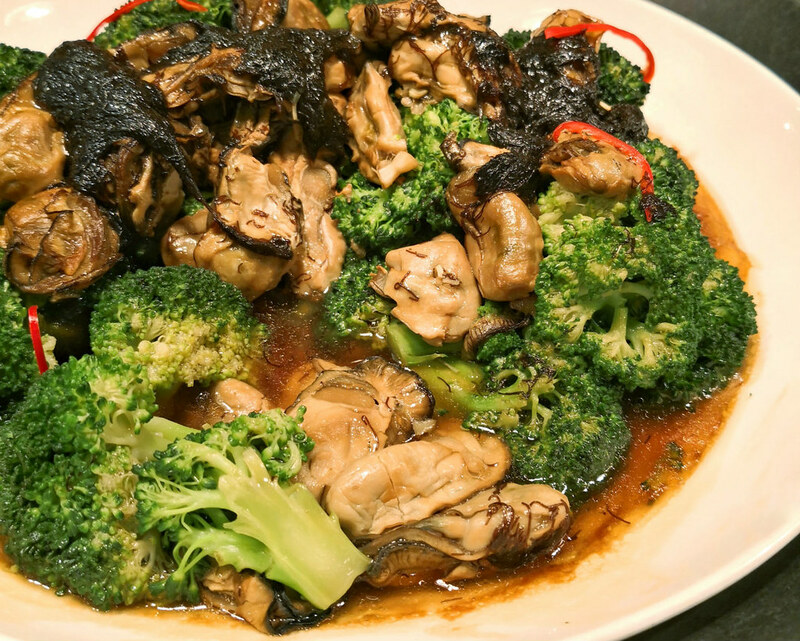 Complemented with 3 sauces – broccoli puree, coffee shoyu and burnt onion jus to give an extra depth of flavour. Simple, straightforward and in your face delicious. Here’s the savoury protein – Pan Roasted Chicken Breast ($21.90). 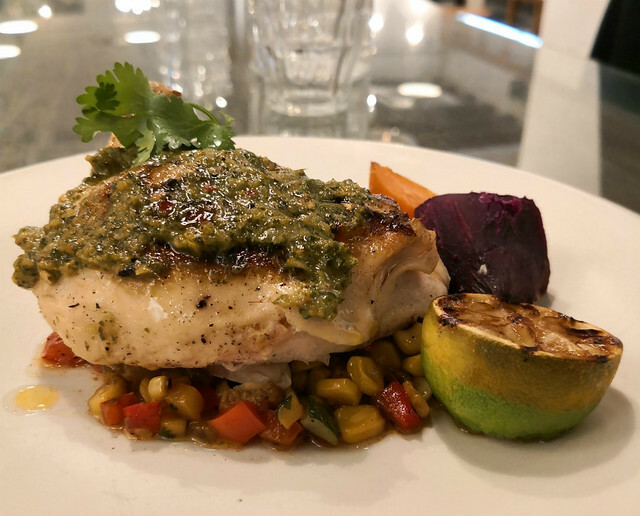 Chicken breast cloaked in a house-made jerk sauce and accompanying succotash of greens. I like how the sauce compliments and further accentuates the succulent meat. Here’s a dish common in the café scene, Strangers’ Coffee Smoked Salmon on Toast ($18.90). Well, not quite so. The house-cured salmon is cold-smoked with spent coffee grounds and hickory wood to give the aromatic coffee-smoked salmon, while an espresso-infused crème fraiche is slathered on toasted sourdough bread. 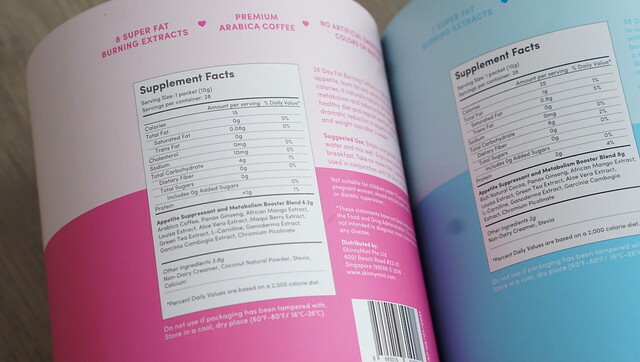 Sounds too caffeinated? 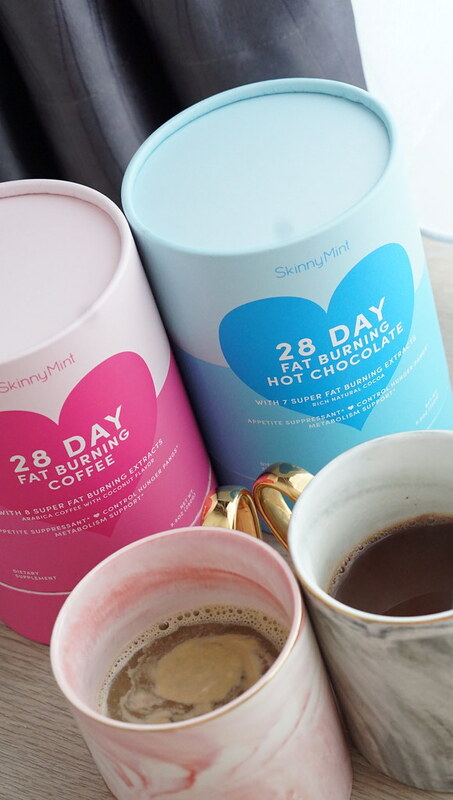 It is not, the coffee is used just to give that light coffee aroma. 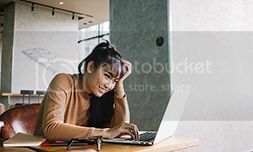 Undoubtedly one of THE go-to cafes for its quality coffee, now the café – in its cool tones of greys, whites and wood – can include inventiveness and upcycling to its name with the introduction of the all-day brunch menu. Now I don’t have to travel all the way to Bangkok just to indulge Baan Ying. 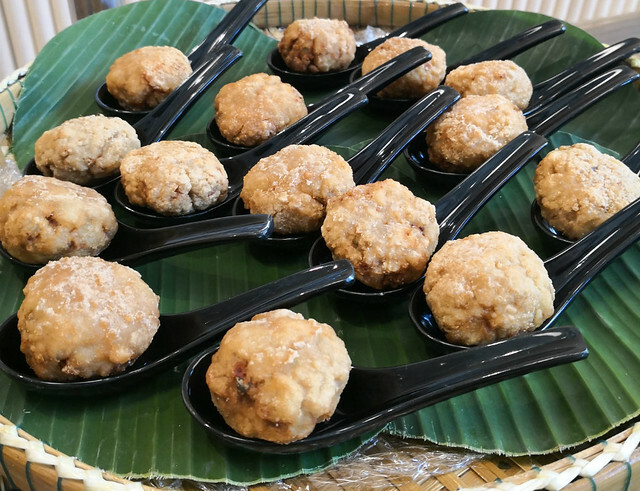 Launched on 26 Jan 2019, the Thai specialty restaurant opens its first ever Singapore outlet in Royal Square, conveniently located near Novena mrt. 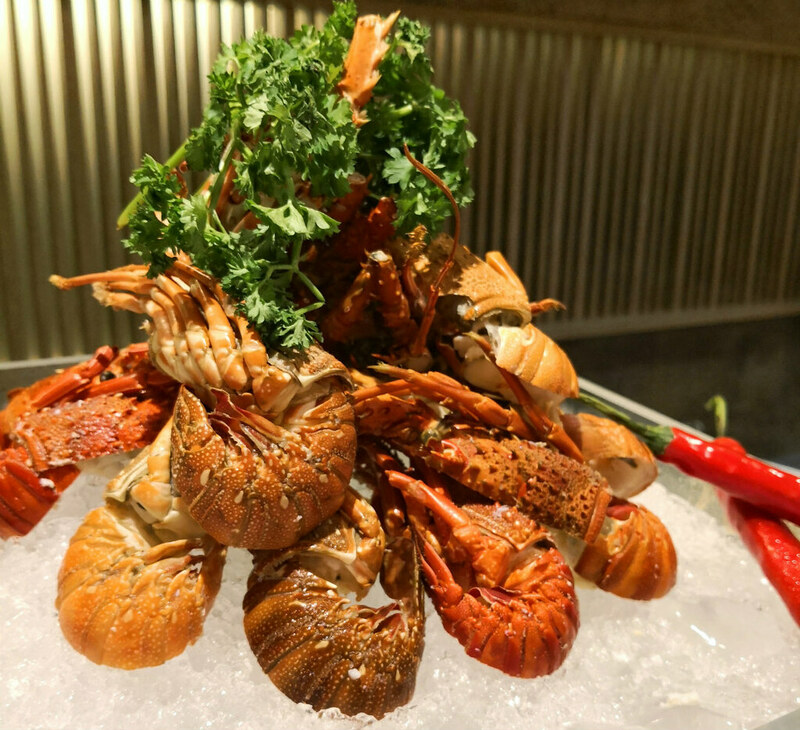 In conjunction with its opening is the introduction of The Great Baan Ying Brunch (#TGBYB) – a weekend semi-buffet consisting of 1 main course along with a buffet spread of 12 to 15 delectable appetisers, sides and desserts on rotation every week. 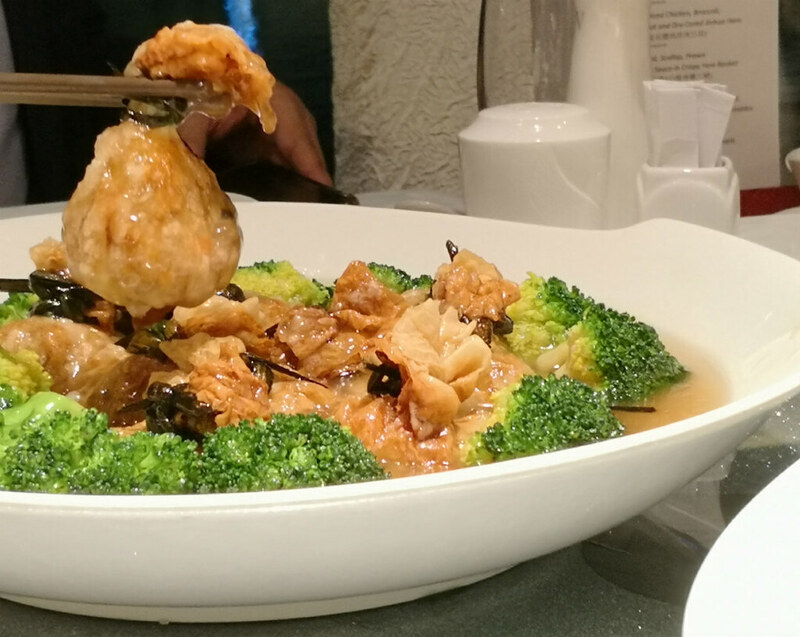 Affordably priced at $38.80++ per adult and $19.40++ per child (four to ten years old; kids under three dine free; child price includes complimentary fruit juice), this is enough to draw me in, being a big fan of Baan Ying’s ala carte omelette rice and fried fish dishes. As for semi-buffet, this is something new for me. 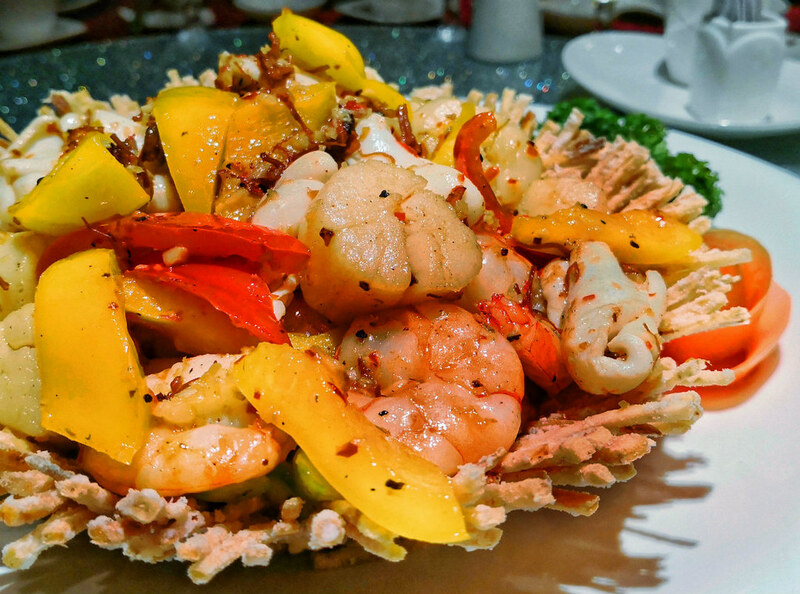 The main brunch attractions, the 6 mains are the Bone-in Iberico Pork Chop, Angus Beef Steak, Grilled Large River Prawns, Pan-fried Salmon Steak, Junior Omelette Fried Rice and Junior Omelette Fried Noodles. Me and my friend tried the Iberico Pork Chop and Grilled Salmon, both were well-proportioned and plating wise rather straight forward. 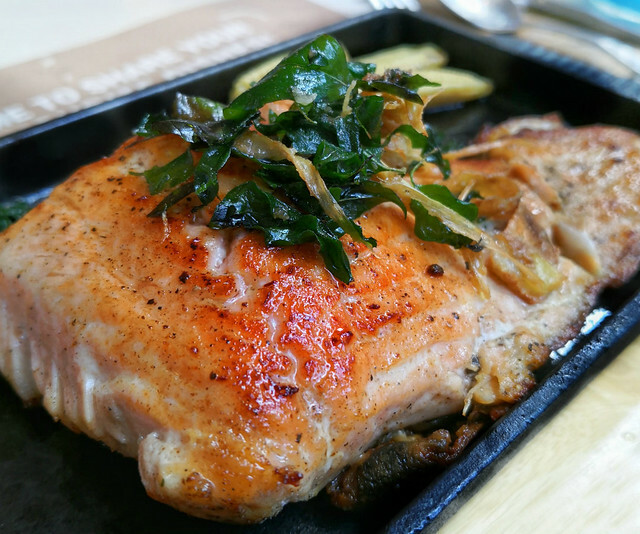 The moist and tender salmon is served with homemade Thai seafood sauce to give it an umami edge, while the juicy pork chop is perfectly marinated with Aunty Ying’s secret blend of Thai spices. 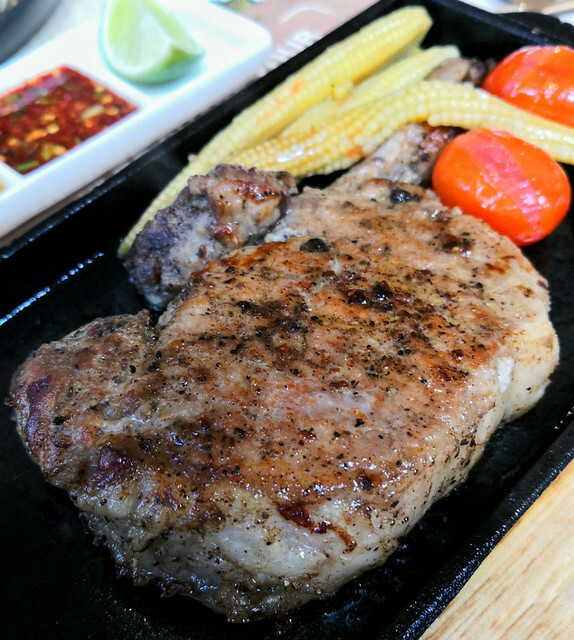 Do note that you have to top up an additional $9.80 for the pork chop, but its definately worth it. 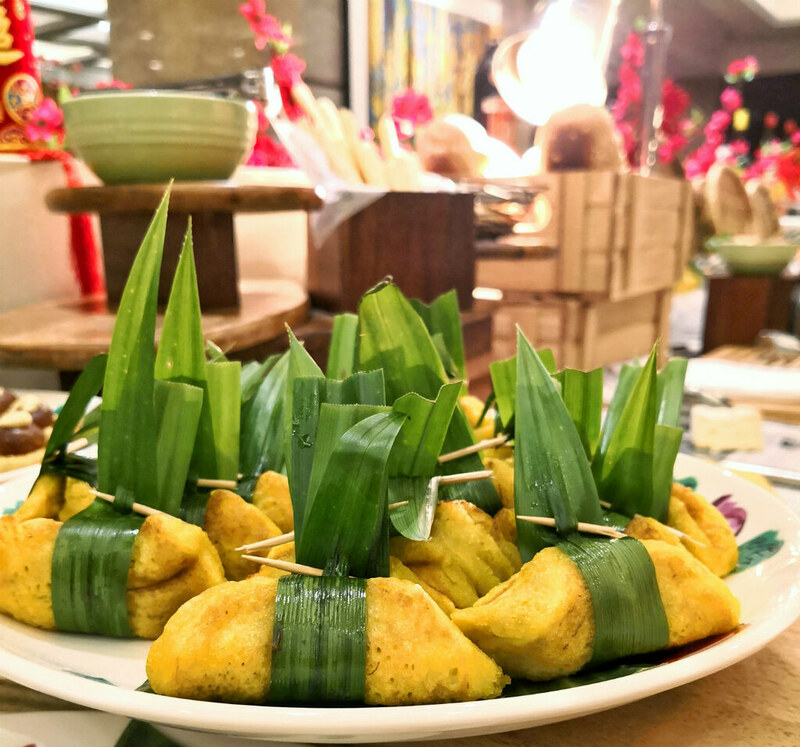 The Great Baan Ying Brunch features a plethora spread of Thai-riffic appetisers, sides and desserts. 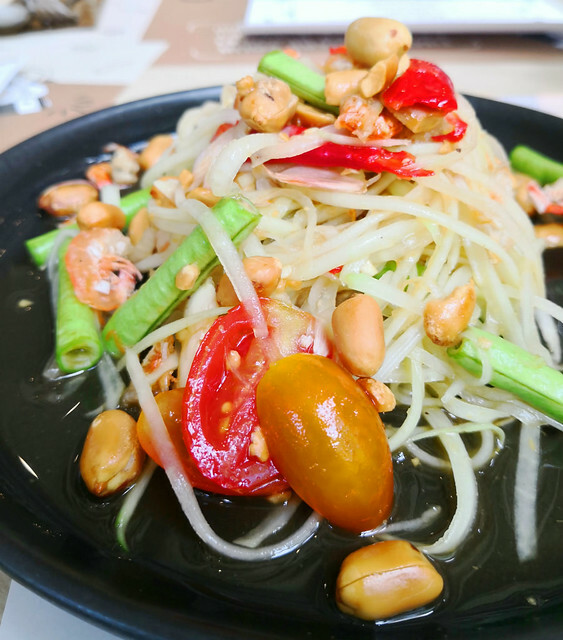 To keep up with the healthy, I started my meal at the DIY Thai Salad station, mixing and matching ingredients like peanuts, dried shrimp, cherry tomatoes, long beans and either tangy green papaya or green mango. The end result is a refreshing and colourful salad. Nothing beats some physical DIY activity, especially when it comes to buffet. 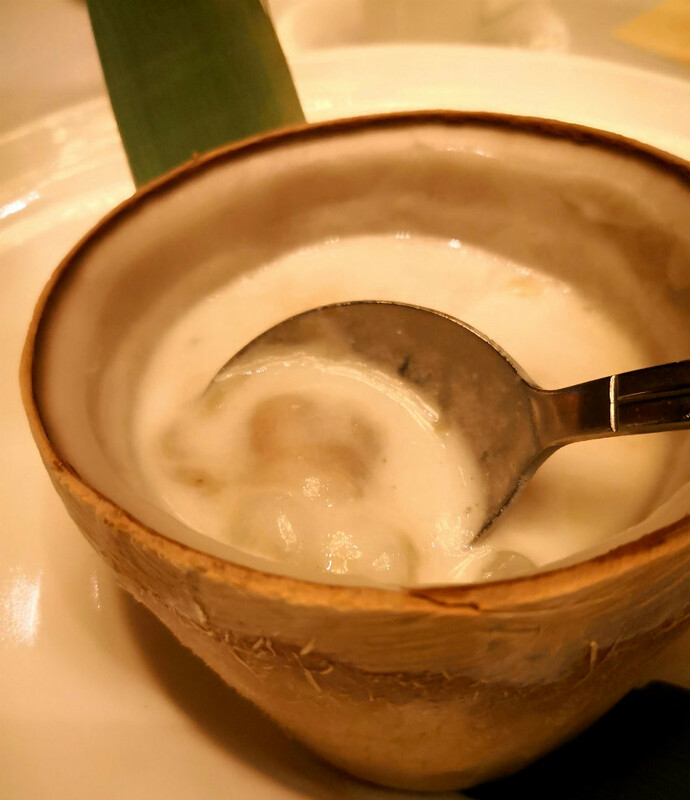 A traditional house-made rice cracker with a rich and luscious coconut, pork and shrimp dip, the Kao Tung Na Tung (Crispy Rice with Pork and Shrimp Dip) is easily one of my favourites. 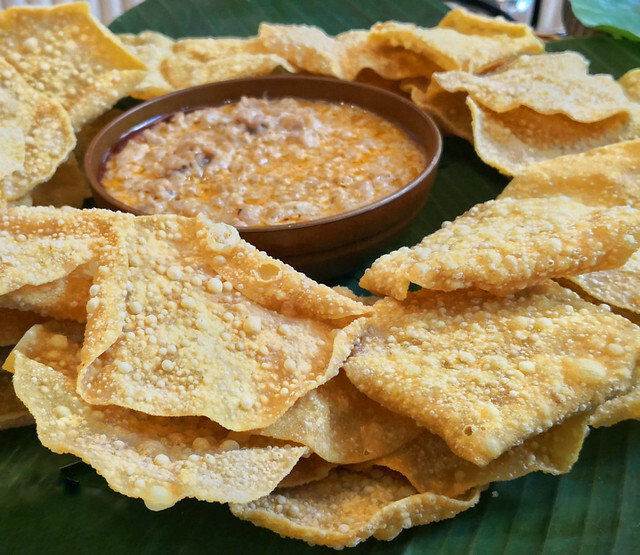 The crunchiness of the crackers and the savoury, meaty dip goes very well with beer. Not to forget the Mini Larb Moo Tod (Deep Fried Spicy Meat Balls mixed with toasted ground rice). Can’t go any closer as these succulent balls are just too easy to down. 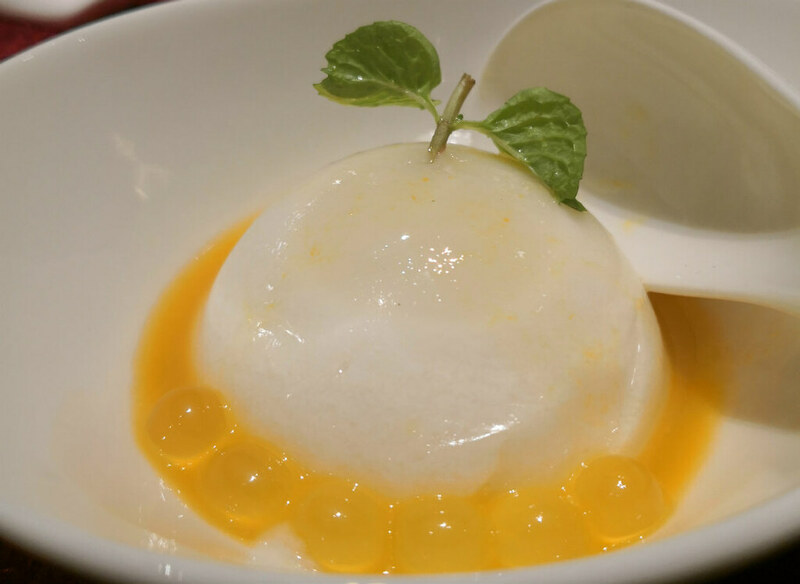 For desserts there are Rainbow Ruby, Sweet Potato in Coconut Milk and Coconut Jelly. 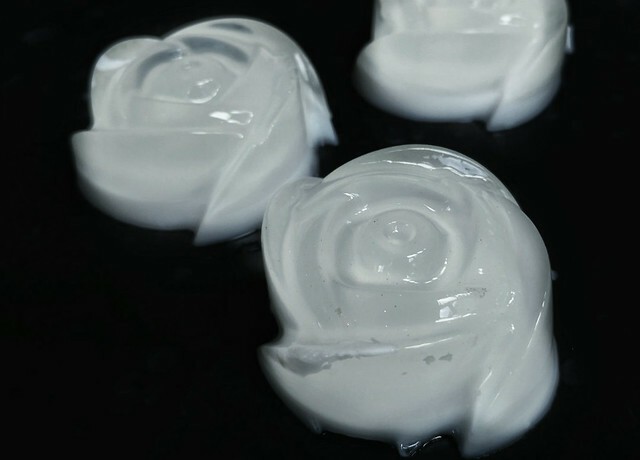 Shaped like a delicate flower petal, the Coconut Jelly are just so refreshing and delightful to pop into the mouth. 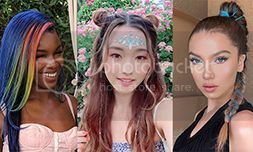 My verdict? 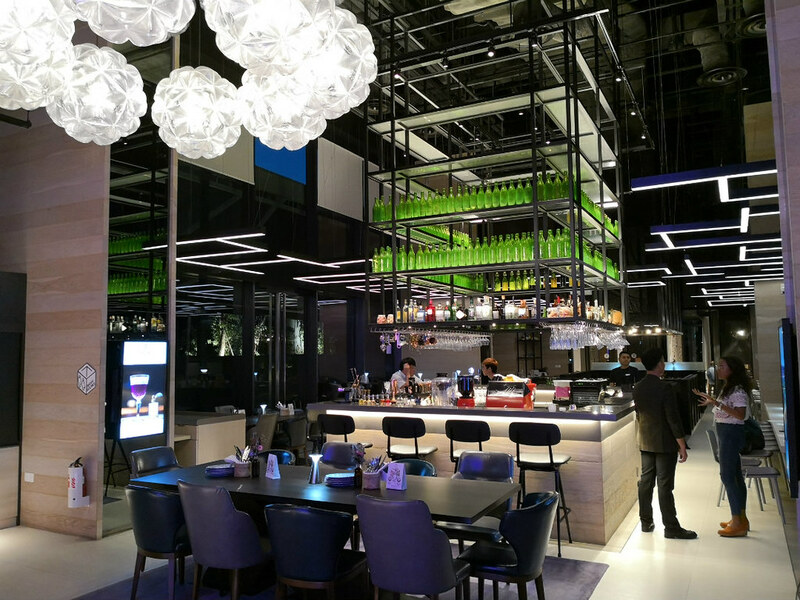 The Great Baan Ying Brunch is value-for-money with lots of quality, tasty buffet spread and a mains to boot. beGin takes a typical gin – usually drank in a traditional English-style habitat with upholstered furnishing – and gives it a chic new spin. 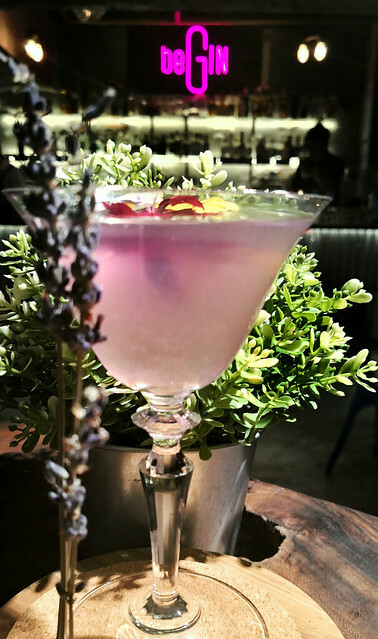 Situated upstairs Singapore’s oldest traditional English Pub – The Penny Black, beGin is the only speakeasy bar that houses over 50 gins from different countries. 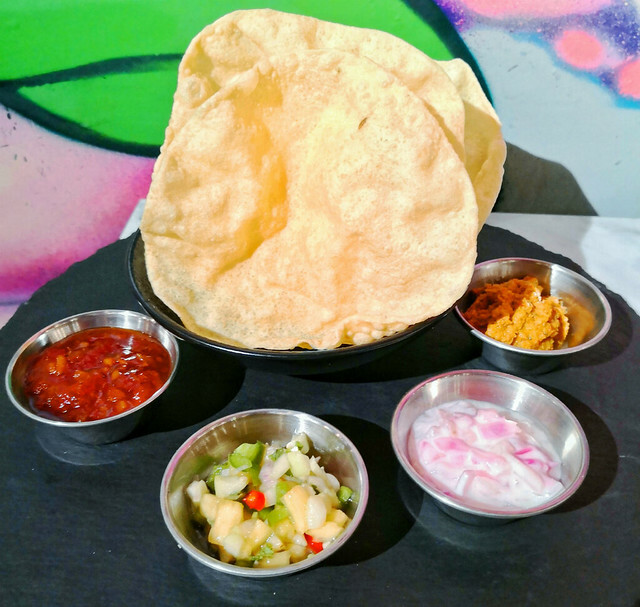 Gin lovers can sample the vast selection in different ways (neat, with tonic or in fashionable cocktail) and pair it with savoury British-Indian small plates. Expect colours, delicious bites and upbeat music with friendly bartenders tucked inside this rustic, moodily-lit speakeasy. 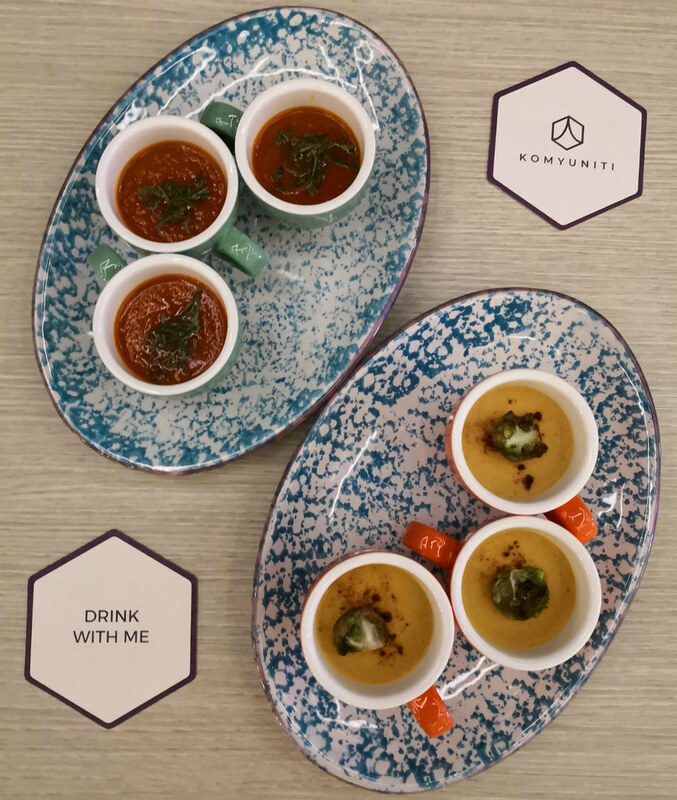 Starting off the course is the Royal Chatanee (S$4), which consists a medley of mild to punchy dips – Tomato, Chilli & Ginger Chutney, Asian Salsa and aromatic Spiced Cilantro Mint & Coconut dip. This grazing platter with refreshing dips is good to awaken the palate for subsequent courses. Popping into the Crab bomb-a ($13 for 5 pieces) has that savoury oomph of seafood satisfaction. The curry sauce, hidden within the light hollow crisp, is made with beGin’s in-house spice mix for that unique kick. 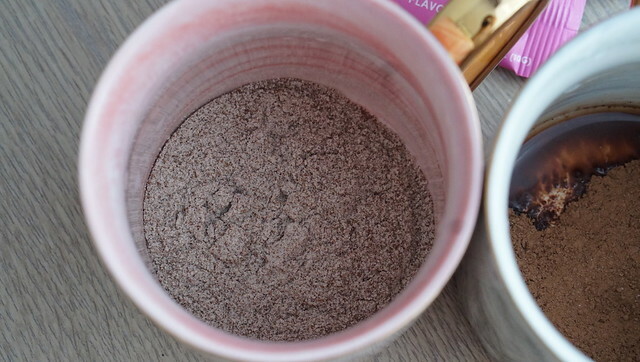 Very addictive and easy to pop in a few. Appearance can be quite deceiving. 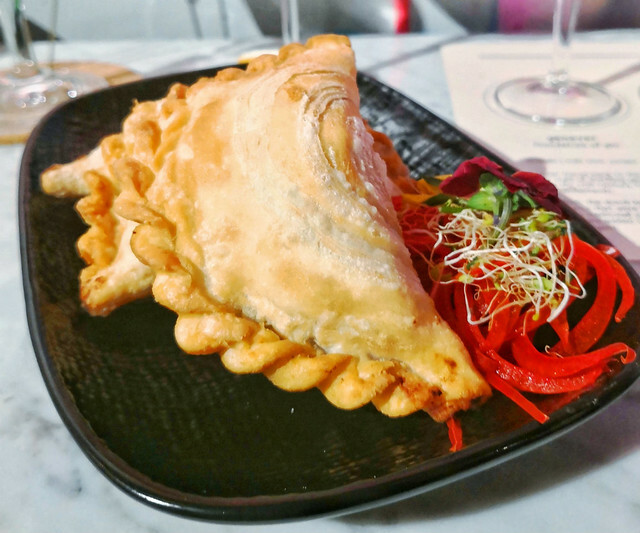 BeGIN’s bestseller the Samboo-sa Pasties ($11 for 3 pieces) is a modern interpretation of the humble curry puffs. 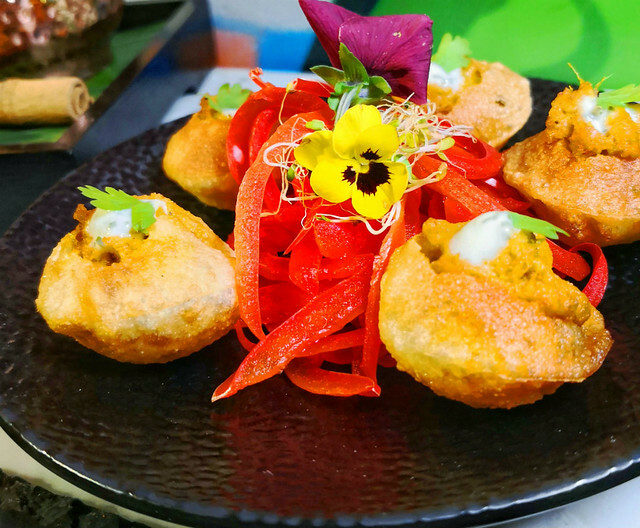 The chicken has that fiery tandoori masala taste, encased in a fluffy crisp choux pastry for that lovely crunch. A definite crowd-favourite, the nacho del goa ($15 for 5 pieces) is a twist to the classic butter chicken. 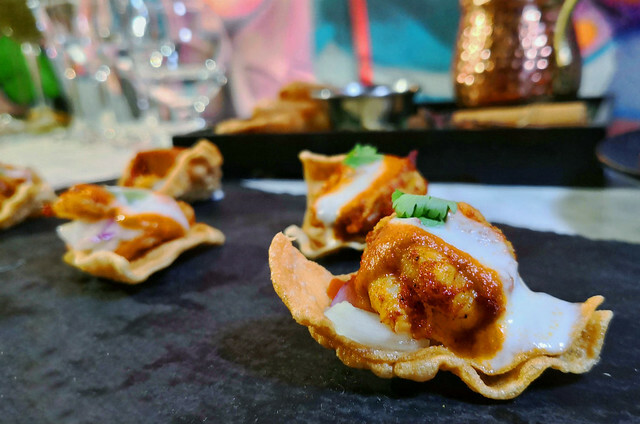 Sitting atop nacho-shaped papadums, the prawns are coated with buttery northern Indian Sauce and onion yogurt. 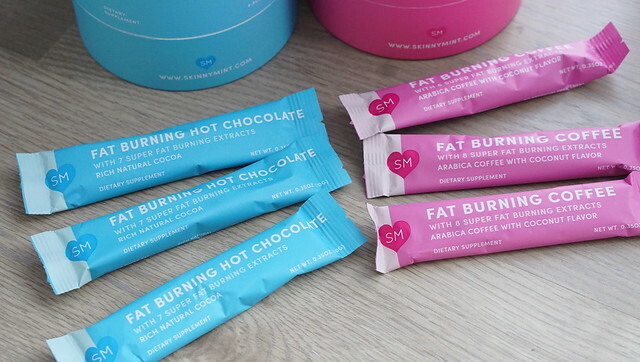 It’s not enough to pop in just one of these tasties. The Cheeky Nigiri is perhaps my personal favourite among the delectable bar bites, partly due to its tender meatiness. 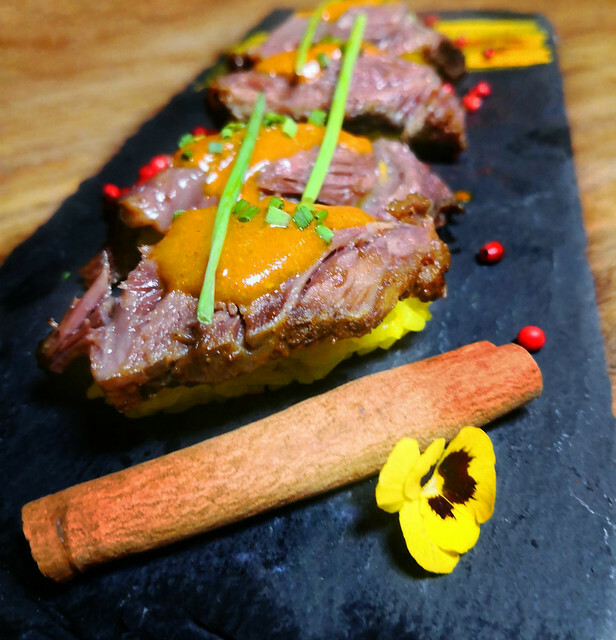 Made of beef cheeks, yellow sushi rice and vindaloo sauce, this can simply be a meal of itself. Enough with the food. Now for the drinks. LAVENDER ($25) is inspired by HRH Queen Elizabeth II’s luscious lavender garden. 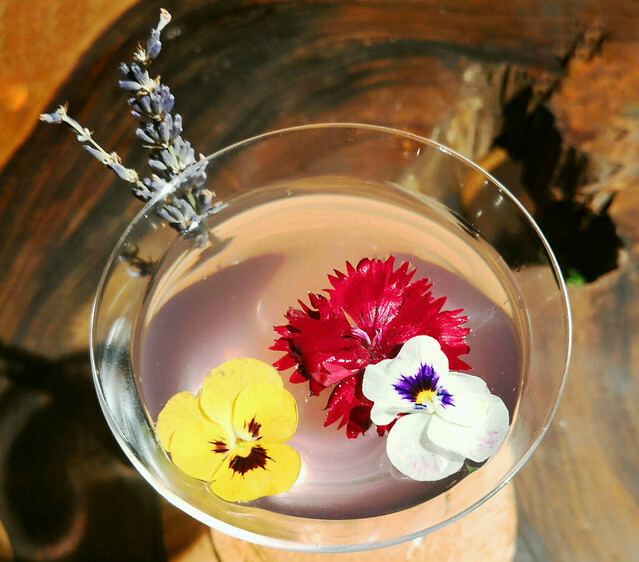 A dome once lifted releases smoke that unveils the dignified, feminine cocktail. Taste of floral and, with its opal pink, slightly girly drink, but I love it still. No judge. For those who are into adventurous drinks, the Jagmohan ($25) is a curry and clove spiced tequila mix. 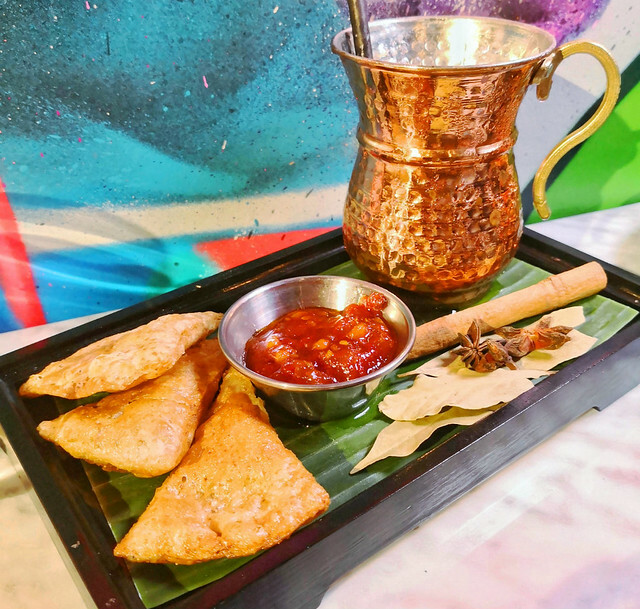 Essentially Northern India in a drink, this unassuming cocktail is exotic and tastes of spices, completes with the tomato, chili and ginger chutney on the side with fried crisps. KOKO ($23) is that decadently well-balanced cocoa-infused rum die-hard chocolate fans would find irresistible. 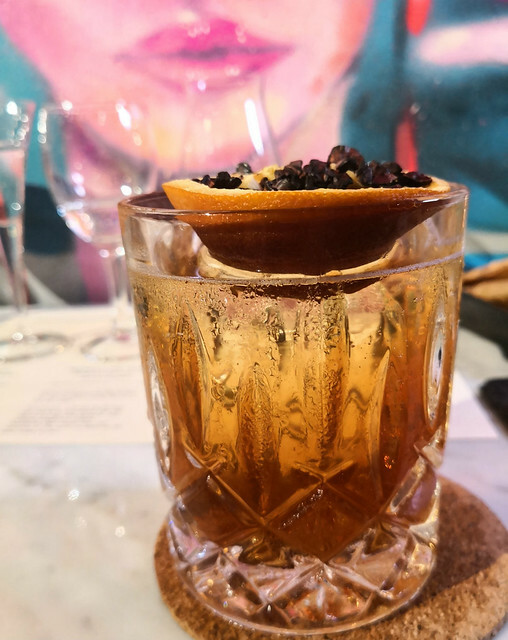 Performed with a ‘fire’ show – igniting the dehydrated orange atop the rum – this fiery concoction is creamy, mellow-sweet cocoa and tastes just like a dessert by itself, which I simply adore! When you’ve got warm company and unagi what more do you need. 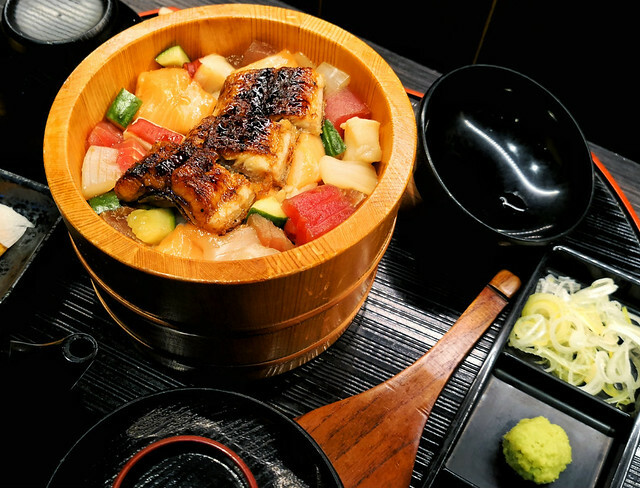 Opened by one of Tokyo’s most well-known unagi restaurants with a stellar 125-year history, Unagi Ichinoji surely can satiates your unagi wants with ease. 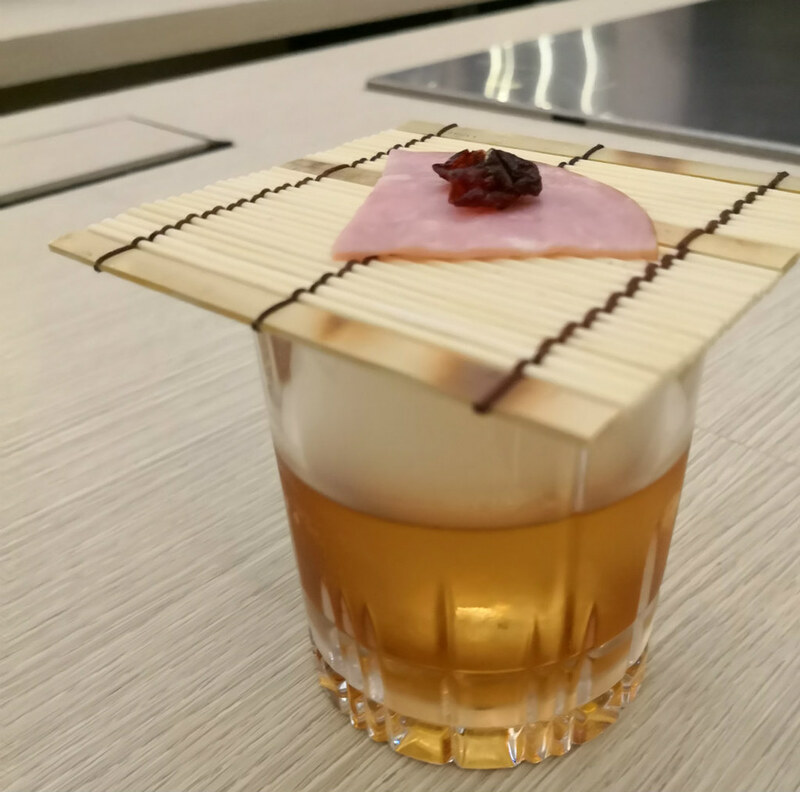 Located at EAT At Seven at Suntec City and Riverside Village Residences, the premise looks like an izakaya with traditional wood panelling, superb customer service and authentic Japanese vibe. 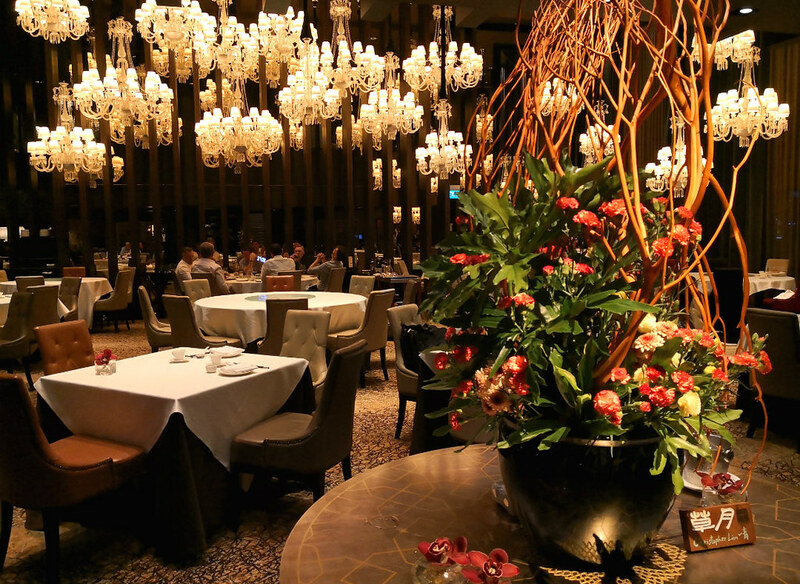 It is probably the next best place to dine and unwind if you don’t have the luxury of time to fly to Japan. 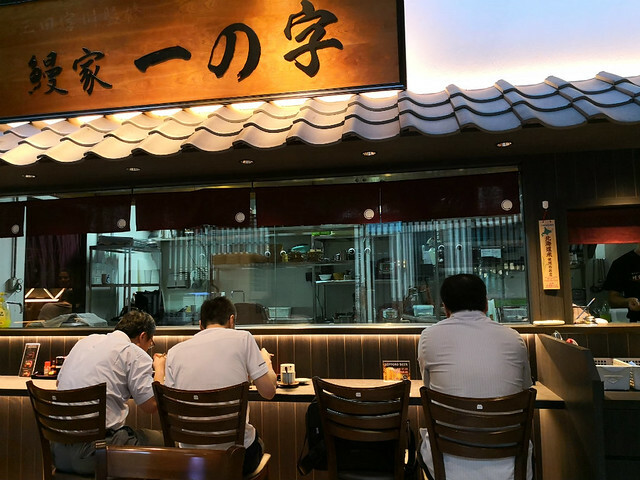 One can’t say they have stepped into Unagi Ichinoji without tasting unagi – that’s what they are specialized for. 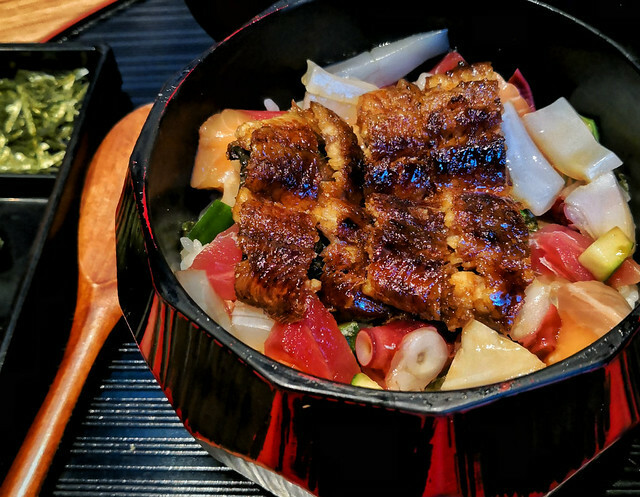 The Unagi Kaisen Hitsumabushi Set (small S$25.80 and Medium $33.80) comes with a slab of freshly grilled unagi fenced by a chirashi-style array of fresh sashimi including salmon, tuna, squid and octopus, all air flown from Japan. 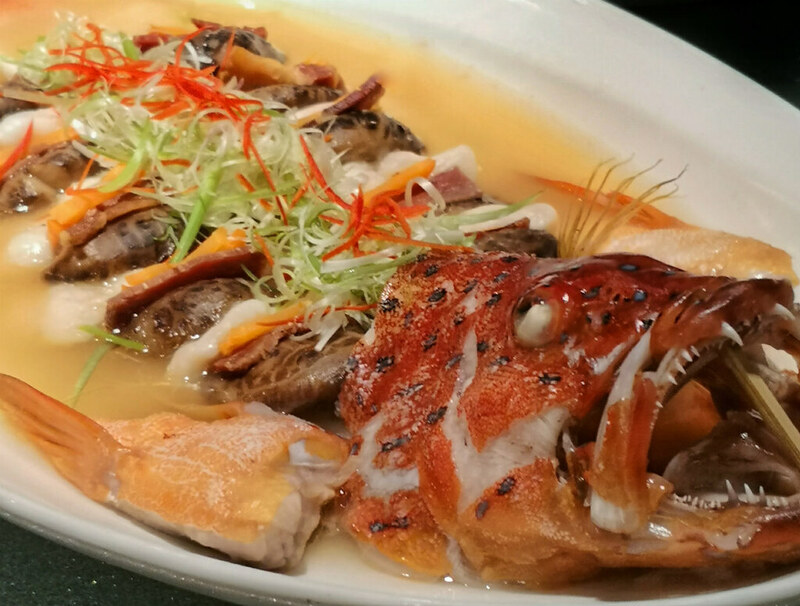 It is absolutely a gratifying experience chopping down the luscious piece of fish. Even the fluffy rice is well taken care of. The Japanese Hokkaido rice is coated with a special in-house marinade to give off that exquisite flavour. 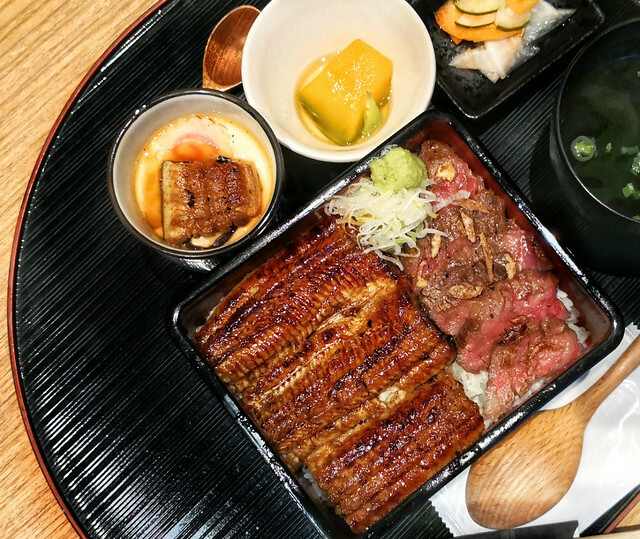 The Unagi Wagyu Set (S$36.80) uses A5-grade wagyu imported fr Kagoshima Japan & restaurant’s signature freshly grilled unagi. Accompanied with unagi chawamushi and Japanese pickles. 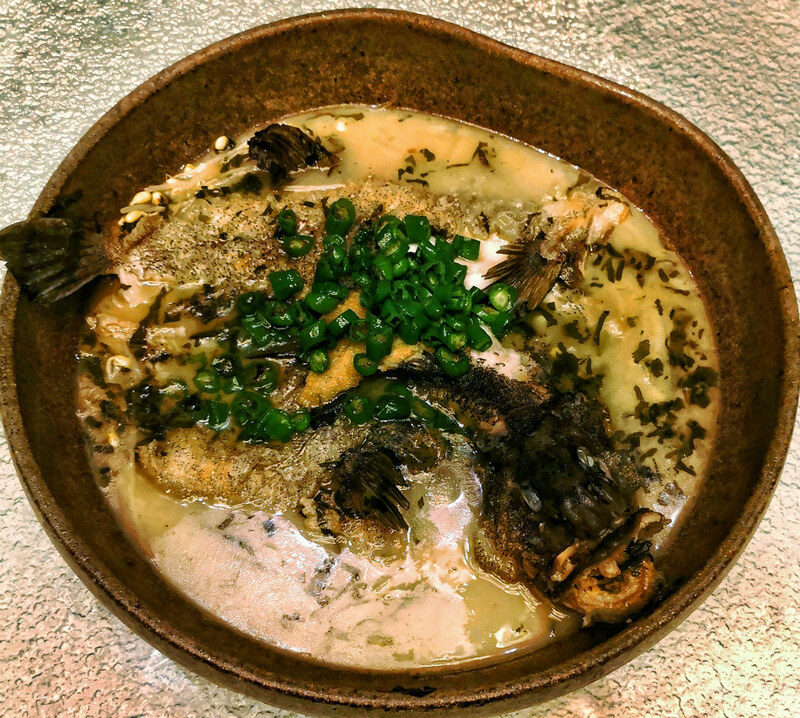 Tender charcoal grilled beef & umami unagi, a bowl I would surely grab when I am feeling indulgent. For the non-unagi lovers (is there any really? ), there is the Chicken Hitsumabushi Set ($26.80). 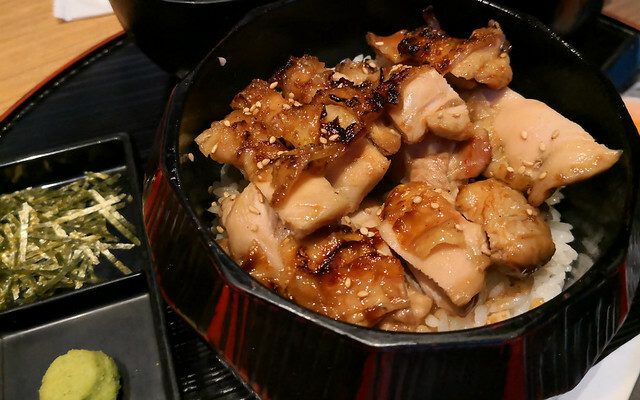 Fresh organic chicken (Sakura Chicken) is used to give it a more succulent texture. Charcoal grilled elevates the palate with a smoky note. For me, however, it would be unagi anytime. 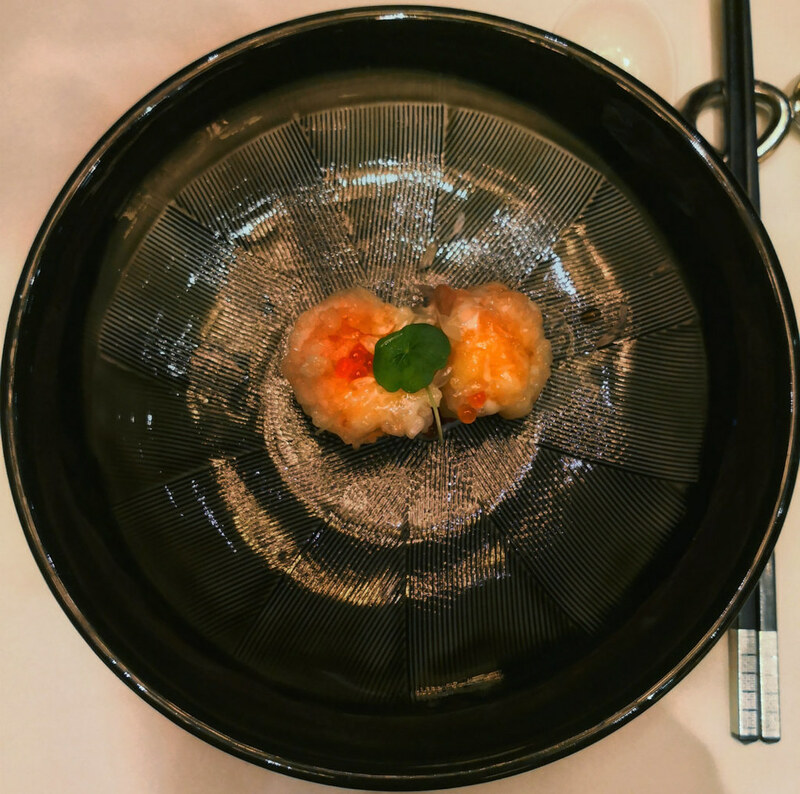 Now, if you don’t know what is Hitsumabushi, there are actually 3 special ways of eating it to experience different flavour profiles. First, divide the bowl into four portions. 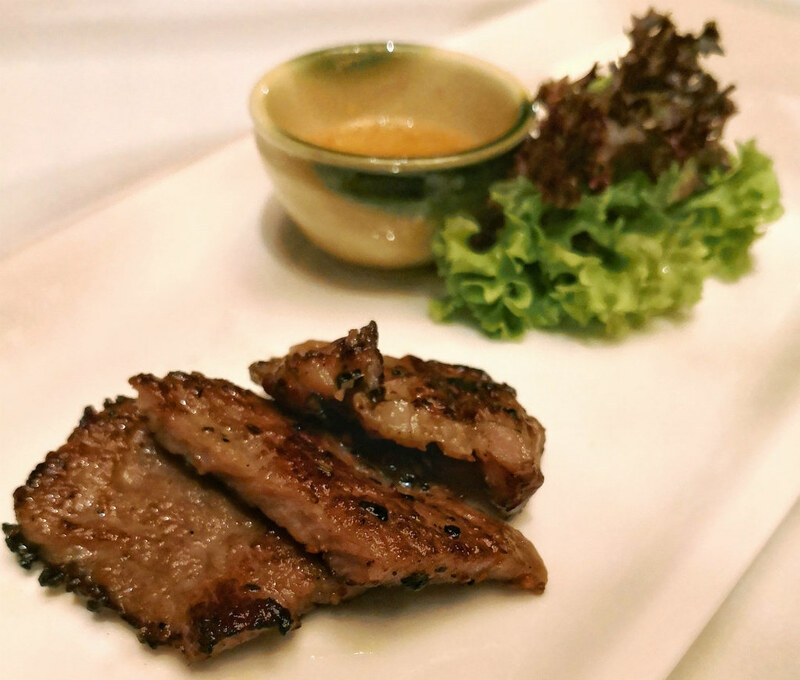 Enjoy the first portion on its own and relish the depth of flavour of the eel. Then, for the second portion, add nori (seaweed), wasabi and green onions to the Hokkaido rice and eel. For the third portion, add the clear dashi to the abovementioned mix. The final portion can be enjoyed however you fancy. Personally, I very much prefer to enjoy by its original form without any condiments. 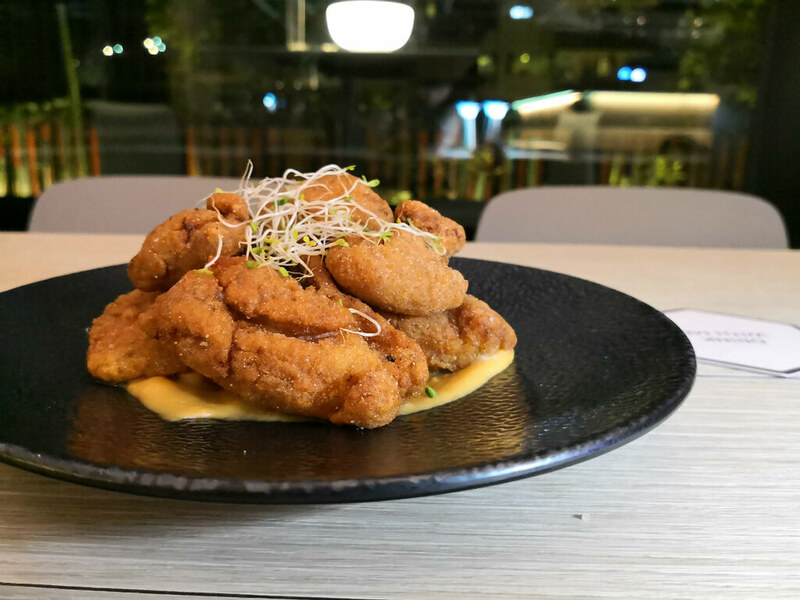 Pig out this New Year at Butcher’s Kitchen to welcome the Year of the Pig. 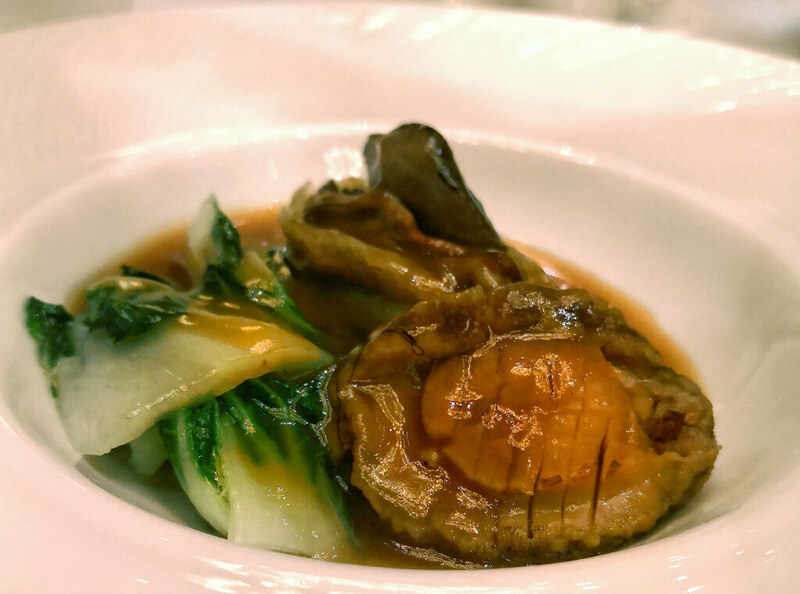 Known for using fresh, safe and healthy ingredients, Butcher’s Kitchen team of experienced chefs unveiled their latest CNY menu for all to ogle, salivate and go oink oink. 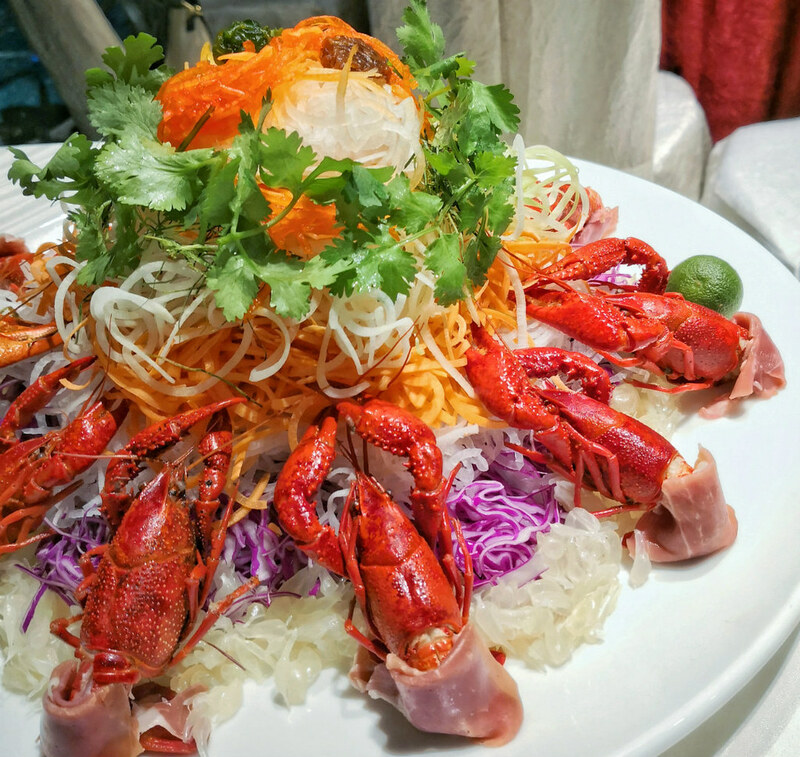 The restaurant’s latest cutesy 3 Treasures Porky Yusheng comes in the shape of a pig, fashioned with roast pork belly, pork lard and char siew. 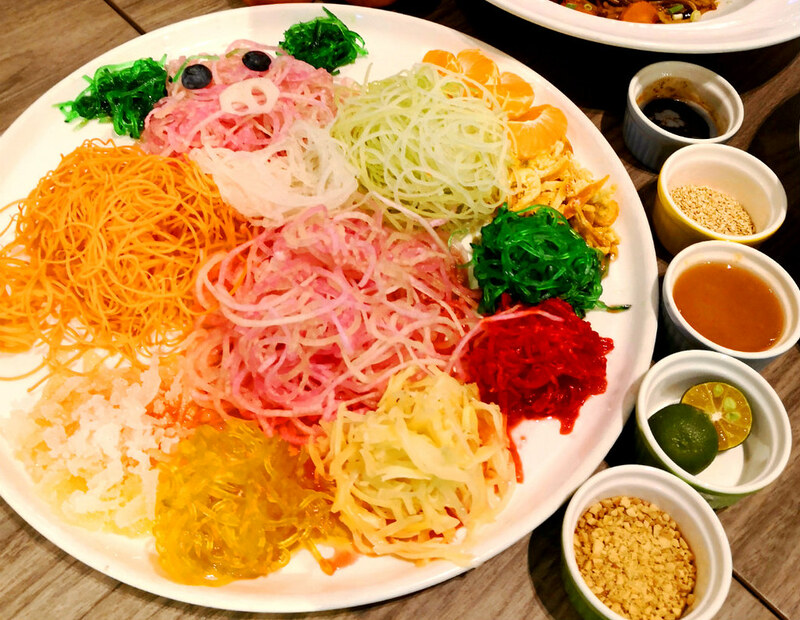 The Instagram-able lo hei is generously lashed with a tangy house-made plum sauce to toss for a sweet new year. Also, freshly-made chips – Butcher’s Kitchen very own creation – is topped on the pig as the alternative to the traditional golden crackers. 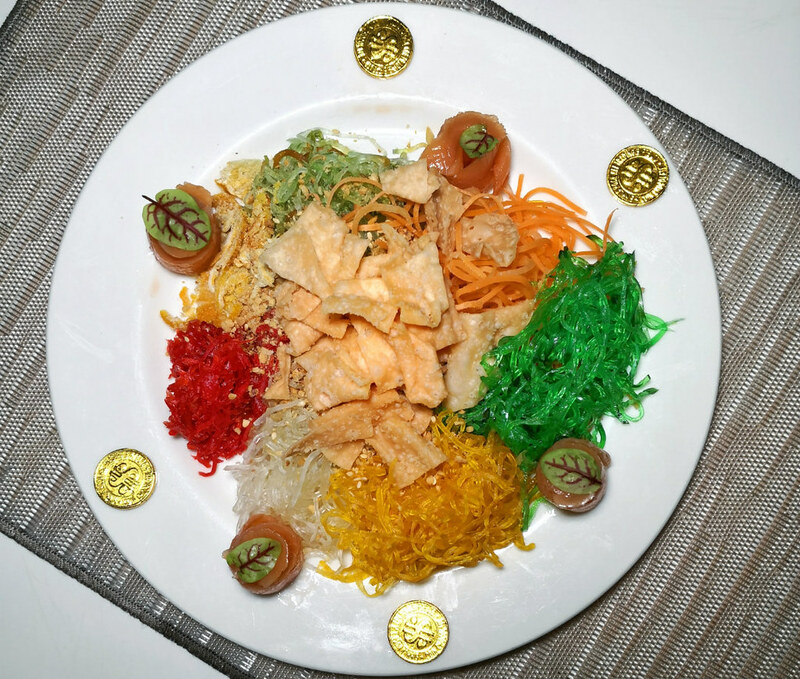 The generous portion of the yusheng is suitable for 8 to 10 pax. 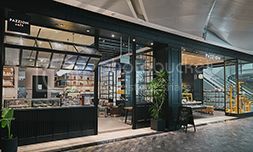 Besides the yusheng, The Butcher’s Kitchen has also introduced two pork-based pasta – Char Siew Pasta with Truffle, and Mala Pasta with Roast Pork Belly. 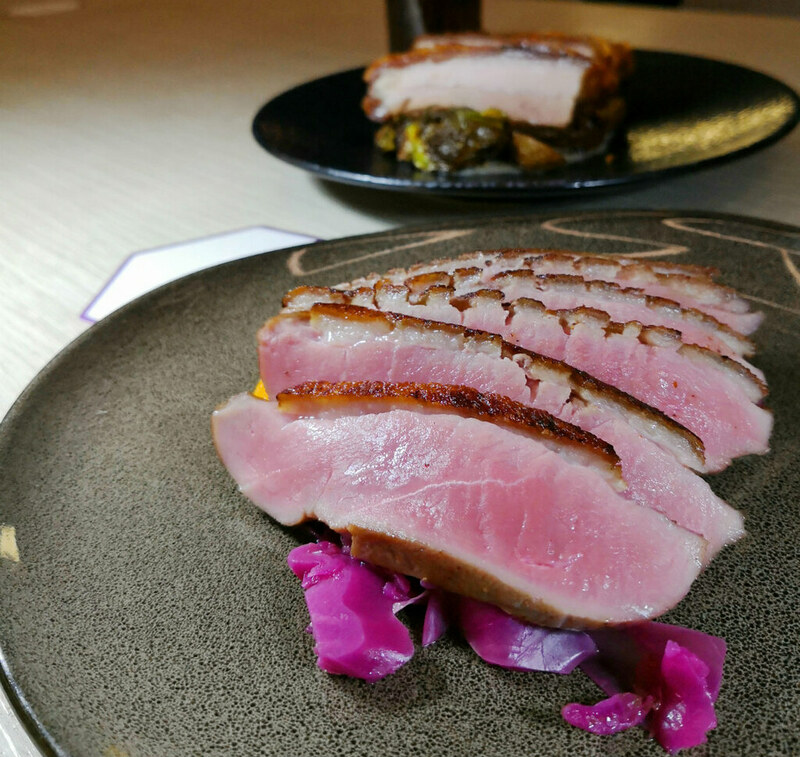 I particularly fancy the Mala Pasta Pork Belly dish, which has that savoury roast pork belly with perfect meat-to-fat ratio which I can easily over-indulged! The crunchy crackling is not too hard with a heavenly mouthfeel to it. 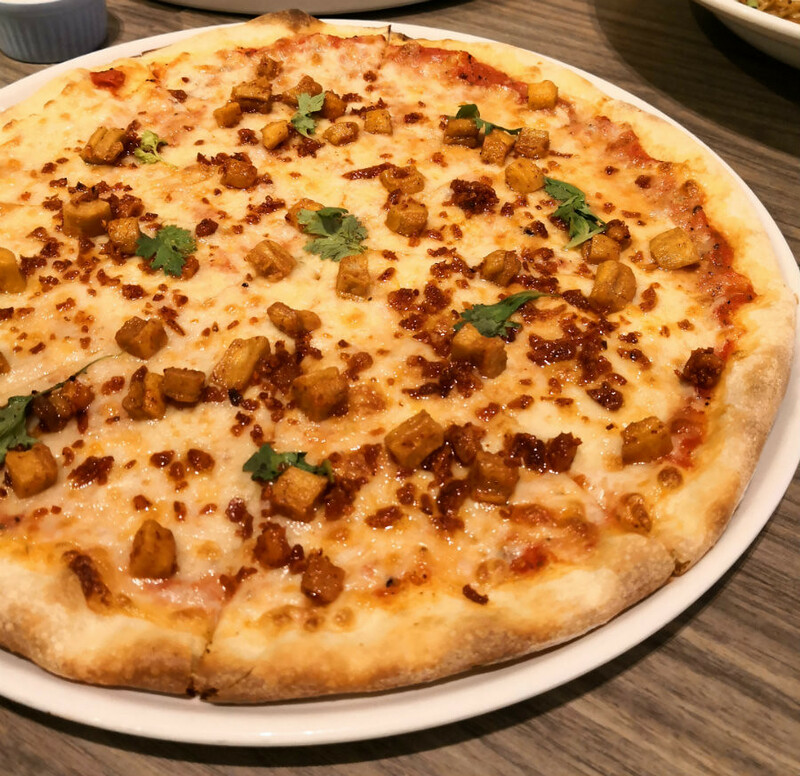 But for my personal favourite is the Herbi Hiam Pizza. Cormprising of cheese, fried crispy pork lard marinated with prawn chili, and heaped with snow of dried sambal prawn, it is sinful beyond the nth degree yet understandably delicious. To give that powerful spicy punch, prawn chili is drizzled on top. Great for dinner with friends or for supper, which I am still mesmerizing it as I was typing about it. 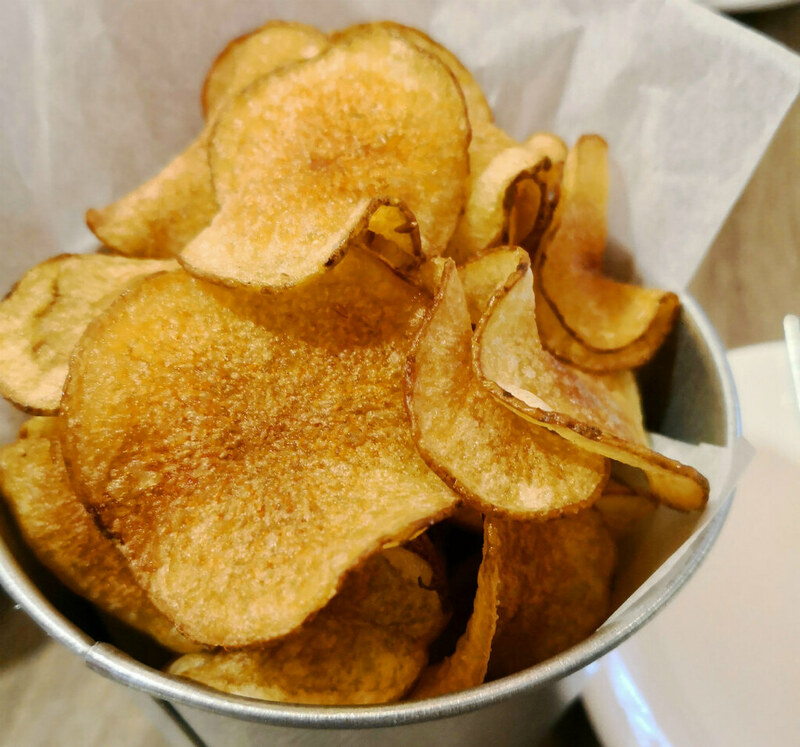 Beyond the pork dishes, the restaurant has also launched the Original Fresh Chips. Fried daily, these all-natural, freshly made and highly addictive chips come in beautiful designed bottles for you to share and gift the goodies to your loved ones for a perfect CNY crunch. Better keep this away from me or else my new year resolution dissolves in bubbles.